I really can’t remember where I found this one, but it’s ended up in my good pile for obvious reasons. 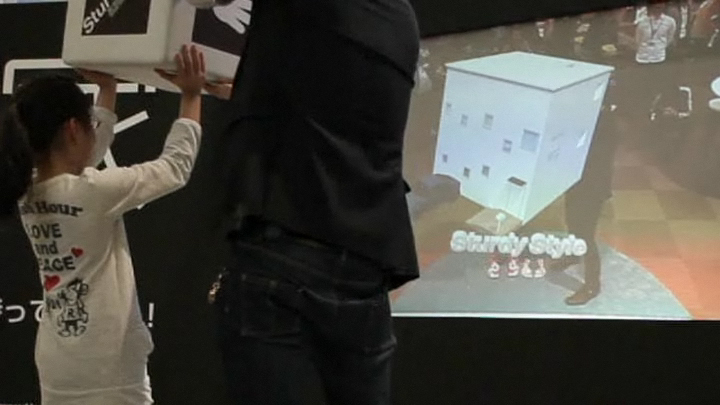 This is a project for a company called sturdy style in Japan. I have no idea what they do there, I think its an architecture firm or something along the lines of interior design. Their site is entirely in Japanese and I can’t read any Japanese. 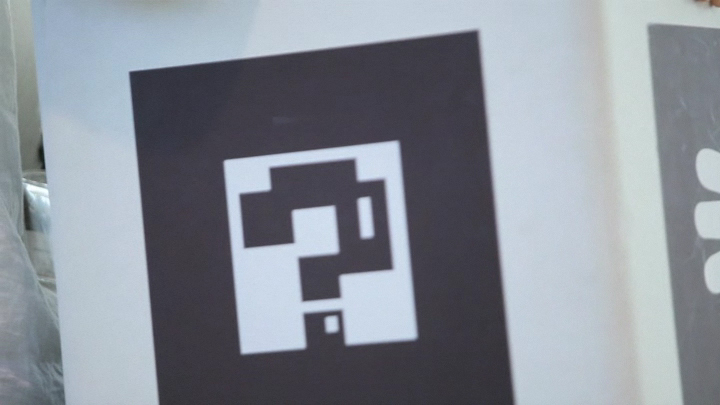 It was created by the visual design studio Tangram. 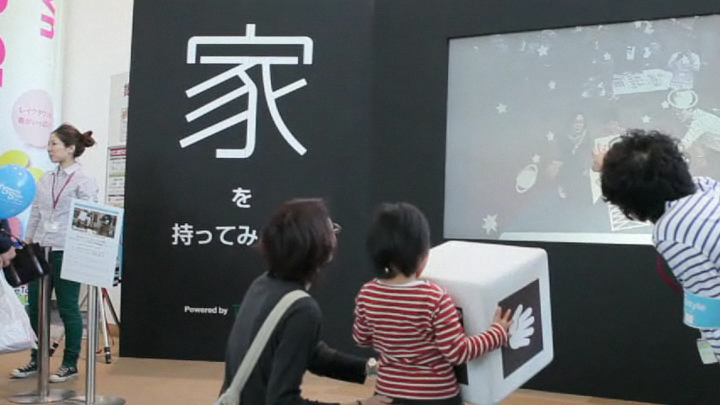 Essentially it’s a booth that uses Augmented reality to grab interest and attention from crowds. It uses a big, fun looking cube with a marker on each face. I think this is a really nice idea using AR in a booth format, especially with the chunky, rounded cube like they have. As you can see, people are loving it, especially when they see all the odd things coming out of the cube. Kids seem to really take to it which is just fantastic. So in this case it’s used as a promotion aid, and the AR is all very basic animated 3d rendered shapes. I’m pretty sure this is the flARToolkit which I used. If it isn’t, I could easily replicate it. Flash and a webcam is all you need for this thing. That and coding skills. I’m wondering if more could be done to this. Could there be more done to promote a sense of play? I’m not sure in this scenario. Unless you got interaction between cubes working which would be cool. Having a multiplayer game using huge cubes would be great fun. I’ve been looking into this and I’m positive it can be done, and it looks to be fairly straight forward, just gotta get the code right. I want to see a more game based sense of play in conjunction with AR. Why not? Papervision can already be used to create pretty powerful 3D games, especially when you combine it with a physics engine like Away 3d. And I know this absolutely can be done, Saqoosha, the AR god, did this fairly early on the year before last. Why can’t I do it? 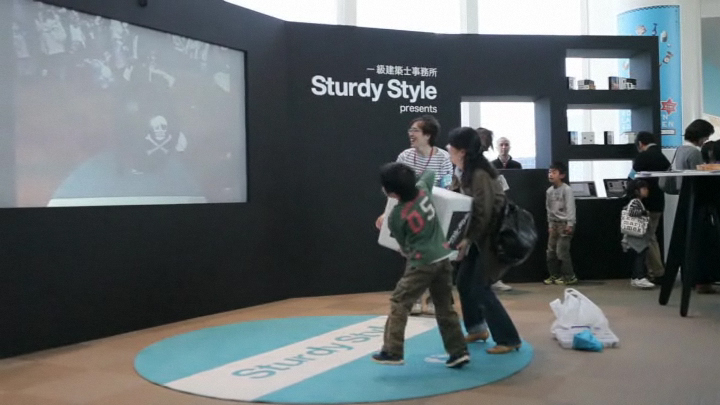 Why couldn’t I create a range of AR games in a exhibition like stand? Just imagine, two people with huge marker cubes or other objects with markers on them playing games together. A range of games like AR tennis or something where you have huge AR rackets. Could be a great exhibit tool. I really like the way they have set up the surroundings too, the whole black monolith structure they created to house the screen, the big blue mat to prompt you to stand in the right place, subtle but effective. Also, hugely attention grabbing. I would very much like to explore the idea of a physical structure like this. A museum type exhibit that could be used to promote, entertain or learn. I think it needs something more though. but I’m not sure what yet. Augmented reality is still a big deal surprisingly. I proved this when I wrote some tutorials teaching the basics of Augmented reality, they went down a storm and people loved them. Somehow now, I’m seen as bit of an authority on creating this stuff now. If I could demonstrate some cool techniques like multiple marker connections, hit detection and dream up a new way to play games that isn’t “wii like”, I think this could be something. Something a lot less stressful and difficult to pull off as the escape room. Maybe thought control could be put in there somewhere? I really, really like the idea of making a museum style booth exhibit though. An escape the room in AR game? *edit* Just noticed this, but the cheeky monkey is only using one marker. I assumed the cube had a marker on every side but it doesn’t, it oddly has marker looking faces, but they are what seems to be icons to help you hold the cube the right way. How crap, I wanted multiple marker cubes dammit man! ← ARG meets AR. When Heroes collide.